With International Women’s Day approaching, we’re thrilled to be the chosen charity for WoManchester, a festival of diversity and collaboration celebrating Manchester as one of the best places to foster female talent. The main WoManchester event is taking place on Thursday 8th March (6pm-9pm) at The Radisson Free Trade Hall. The event will be an uplifting, inspiring evening which will showcase female talent, with a drinks reception and opportunity to network with leading local businesses. 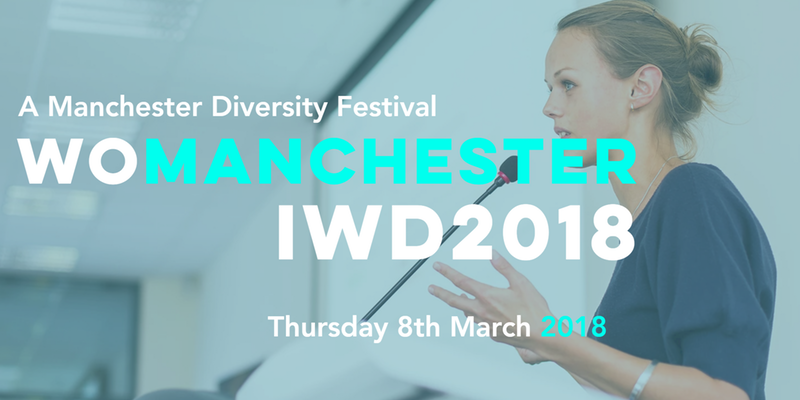 There will also be a panel discussion from some of Manchester’s top business women: Joanne Roney (Chief Executive of Manchester City Council), Lou Cordwell OBE (Director of AllBright and CEO of Magnetic North) and Emer Coleman (Head of Tech Engagement at the Co-Op) will talk about what we can do to make Manchester even better as the city that supports gender parity, and how you as a business can #pressforprogress. All profits from the tickets sales together with fundraising on the night will go to Forever Manchester. There are also a number of fringe events being hosted throughout the week by the following organsiations.